You can download the old mspaint.exe file from here. One question you may ask it that isn’t Paint a built in app? If you are sad at this change, just keep note that all the Win32 applications are being slowly discarded for the new UWP apps. First the Calculator, then the Live Essentials and now the Paint app. From now, you can expect a lot of the traditional apps pre-installed on Windows to be replaced by their newer and sometimes better counterparts. The last update to the Windows Paint was in Windows 7 where we got the ribbon interface and addition of nice brushes to draw. 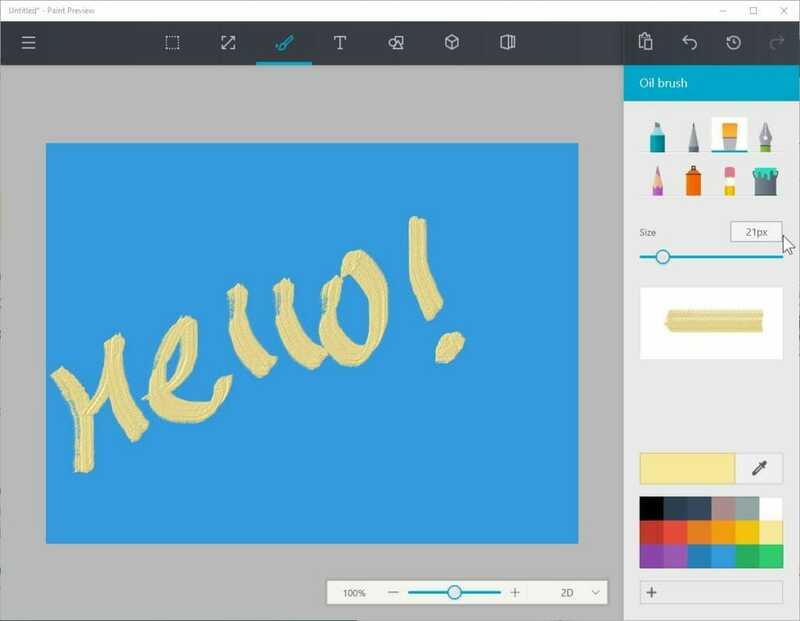 The new Paint 3D has many features like support for 3D printing, layers, and transparency. Of course, you don’t need to only stick to the Paint app. There are alternatives to it like the Paint.NET which is, quite honestly vastly superior and provides a large number of features. Caution: Be careful while downloading random exe files from the internet. Always make sure to use trusted sources. Make sure to verify them after downloading. If you download the files from the link below, the hashes will be the same as I mentioned above. Using this standalone program is quite easy. Make a folder inside the C:\Program Files (x86) called as Paint and copy these files there. From there, make a shortcut on the desktop for quick access.